Plants farmed in Australia range from cereals such as wheat and barley, to fruits like apples and bananas, nut crops, cotton and grapes. Australia’s vast landmass means that large scale crop growing has been part of the Australian farming industry since the mid 19th century. Most commercial crops are based on introduced species. Wheat, maize and barley were first grown in Sydney shortly after the arrival of the First Fleet. Inland exploration and the establishment of new colonies (particularly South Australia and Western Australia) opened up new farmland and crop growing boomed. 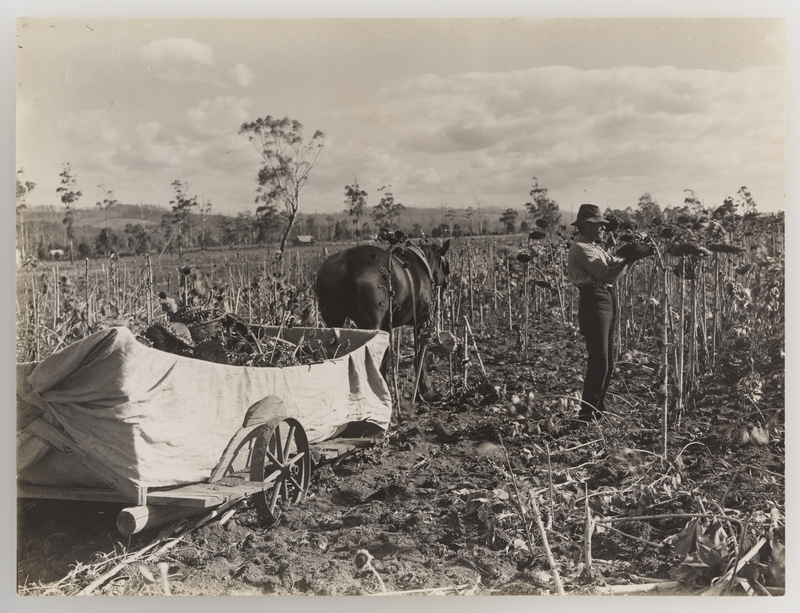 Throughout the 19th century, Australian farmers produced enough to sustain the colony and with the introduction of efficient transport systems including the railways, Australia emerged in the early 20th century as a major exporter of crops, particularly wheat. Australia’s horticultural industry, (fruits, vegetables and nuts), has traditionally supplied mainly the domestic market. The industry is labour intensive and seasonal, and comprises mainly small and medium scale operations. The wine industry, however, services not only the domestic market, but exports over two billion dollars worth of wine around the world each year. Australia is now one of the top five wine producing countries in the world. 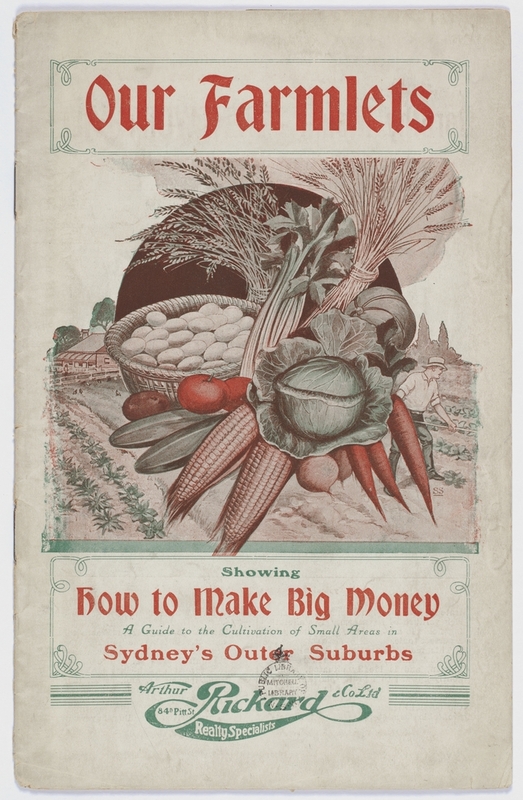 Small scale farming and market gardens were for many years an essential way for Australian families to supplement their own needs and to make an income. While bigger operations have largely replaced this self-sufficiency, some market gardens still exist on the city fringes, suppling perishable vegetables to the local market. In recent times, there has been an increased desire on the part of consumers to know more about their food – where it comes from and how it is grown and transported. The rise of responsible farming and ethical comsumerism means that Australians are now becoming more interested both in growing their own food and understanding where their food dollars are going by making responsible, informed choices at the shop or markets.